Now that Christmas is getting closer families all around Iceland have started preparing for the holidays. While every family has its own traditions but some traditions are more common than others. One tradition held by many Icelandic families is to gather together to make a special Christmas bread called Laufabrauð (leaf bread). This tradition is also one of the most unique Christmas traditions in Iceland. Most other Christmas customs can be traced back to Denmark or some of the other Scandinavian countries. Each bread is a leaf-thin slice of dough that is hand cut with patterns before being deep-fried. This process gives us these thin, delicate and crispy pieces of bread. This tradition dates back to the early 18th century. At that time wheat and other corns were expensive and hard to come by in Iceland. Bread was therefore not an everyday food item in Icelandic households. 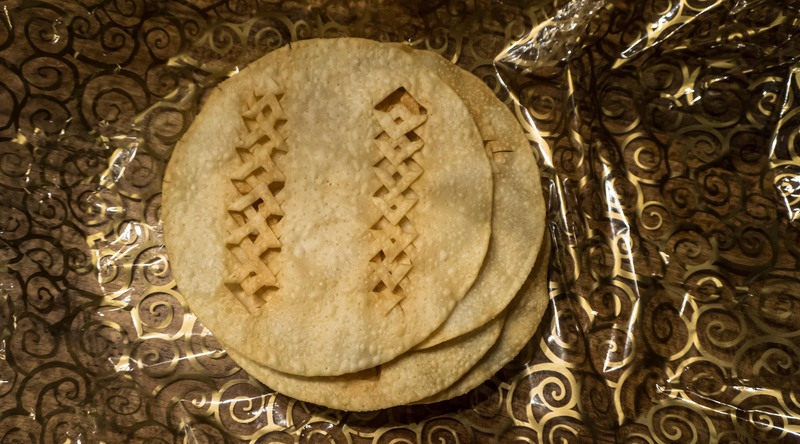 To make the holidays special, these thin bread cakes were made so that everyone could have a little bread at Christmas. For this reason, laufabrauð was mainly served at richer households. It wasn’t until the 19th century that commoners were serving this bread at Christmas. At first, this custom was mostly contained in the north of Iceland. It wasn’t until the 20th century that the tradition had spread around most Iceland. Nowadays you would have a hard time to find someone who doesn’t eat laufabrauð at Christmas. But with that said, not everyone makes their own, many people buy their laufabrauð at the store. As you may imagine, each family adapts their traditions their own way. This leads to different variations in the recipes between families. There may also be different cutting patterns between households. There is even a family that paints a few pieces of laufabrauð for decoration after they have made the edible batch. Would you like to try this Icelandic delicacy?